Championship promotion race analysed: Who has what it takes to get promoted to the Premier League this season? Which teams have what it takes to get promoted from the Championship this season? With the help of David Prutton, we assess the division's current top seven. Form: Having scored 60 league goals this season, alongside West Brom, the Canaries are the joint-highest scorers in the division and there's not much that can hold them back at the moment. Having lost three of their first five, Daniel Farke's side weren't early season favourites to top the division, yet they've lost just twice since and are growing in confidence. Their 3-0 win in Sunday's East Anglian derby was a relative stroll in the park, while they made light work of Leeds with a 3-1 win at Elland Road on February 2. Clean sheets have been hard to come by, though, and Sunday's shutout was just their second since a stalemate with Hull at the KCOM on November 27 and ninth overall in the league this term. Norwich beat Leeds 3-1 at Elland Road at the beginning of February. January business: It was a quiet transfer window at Carrow Road last month, with the acquisition of left-back Philip Heise the sole addition. Farke had earmarked the German as a summer target, but opted to bolster his first-team squad by signing the 27-year-old, who will provide competition for home-grown talent Jamal Lewis. Elsewhere, goalkeeper Remi Matthews joined Bolton on a permanent deal, less than two weeks after he was forced to return to the club following a loan spell in Lancashire, which was cut short by the Trotters' transfer embargo. Head-to-heads: Generally speaking, the Canaries boast one of the more favourable run-ins in their final 15 fixtures this season; their trip to Middlesbrough - live on Sky Sports Football on Saturday, March 30 - and meeting with Bristol City are the only two occasions they come up against any of the current top seven sides during that time. That said, they still have to play Preston, Swansea, Hull, QPR, Blackburn and Aston Villa - six sides who still harbour ambitions of a top-six finish. Prutton's assessment: "I think what they've turned into, as opposed to what we saw in the early part of the season, has been phenomenal, really. It's testament to great coaching, good organisational skills, good recruitment in Teemu Pukki and Emi Buendia, good young players. When you have a player like Moritz Leitner, who has been out of the team but hasn't necessarily been missed, that's a sign of quite a strong squad. I think it's fair to say that, yes they have had recent Premier League experience, but one they've been one of the real surprise packages so far because of how far they've come. When you think that they lost the types of player they lost at the end of last season, it puts into even greater light how good a job Daniel Farke is doing." Form: They have been, effectively, champions-elect for the majority of the current campaign, but Leeds' form has, ever so slightly, begun to stutter since the turn of the year. Between November 24 and Boxing Day, Marcelo Bielsa's men won seven straight games by an aggregate score of 13-5. Then came successive defeats to Hull and Nottingham Forest, before a 2-0 home win over Derby amid the 'spygate' scandal in the lead up to the meeting at Elland Road. Marcelo Bielsa has rejuvinated Leeds since taking over in the summer of 2018. In February, they suffered the aforementioned 3-1 defeat at the hands of Norwich and last Saturday, they drew 1-1 with Middlesbrough - their first draw since they faced Nottingham Forest at home on October 27. January business: Leeds pulled off something of a coup by attracting Real Madrid goalkeeper Kiko Casilla to Elland Road at the beginning of 2019. The 32-year-old reportedly negotiated a buy-out of his contract at the Bernabeu, having appeared just 43 times since rejoining Los Blancos from Espanyol in 2015, and, almost immediately, usurped Bailey Peacock-Farrell between the sticks. Poland U19 international Mateusz Bogusz, 17, joined the club on a two-and-a-half year contract from Ruch Chorsow, while left-back Tom Pearce was permitted to join League One Scunthorpe United on loan. Head-to-heads: Leeds host West Brom at Elland Road on Friday March 1, as well as Sheffield United on Saturday March 16. Both fixtures are live on Sky Sports Football. Prutton's assessment: "Leeds always operate under great expectation due to the fanbase, which I can testify to being both passionate and extremely sizeable. Under Bielsa they've lived up to expectations so far, probably even surpassed them. He's a manager who has managed to elevate a group of players that looked to be fair to middle over the course of the last two of three seasons. "From their point of view, I think they've set a hell of a pace of their own and they've been a team that, on its day, can lay claim to being one of the best in the division. From now on in, it's dealing with the pressure and hoping to maintain that consistency to be there at the end of the season." Form: The Blades missed out on a play-off spot by just six points last season, surprising many following promotion from League One just the season before. They've continued in much the same vein under boyhood fan Chris Wilder this term, too, following up opening defeats to Middlesbrough and Swansea with four straight wins, which propelled them up to fourth. They've not once dropped out of the top six since and look a good bet to finish among that pile come the beginning of May, with striker Billy Sharp also leading the division's goalscoring charts with 22. They were dealt a severe mental blow last Friday, however. 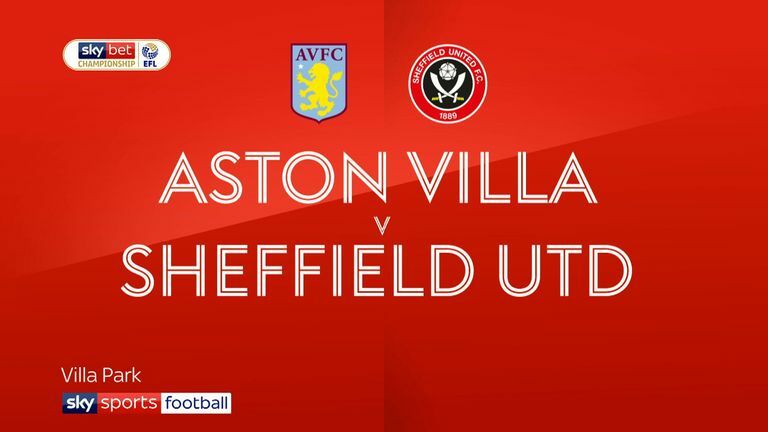 Sharp's hat-trick had put them 3-0 up heading into the final 10 minutes against Aston Villa at Villa Park, but goals from Tyrone Mings, Tammy Abraham and a stoppage-time header from Andre Green earned a point for Dean Smith's men. Blades striker Billy Sharp currently tops the Championship scoring charts with 22 goals. January business: Bramall Lane was a busy place last month, with no fewer than four players joining and five first team players leaving for pastures new. Oliver Norwood's loan from Brighton became permanent, while Kieran Dowell signed on loan from Everton, joining strikers Gary Madine and Scott Hogan, from Cardiff and Aston Villa, respectively. In terms of outgoings, Lee Evans joined Wigan for an undisclosed fee, Millwall shelled out £1.5m for Ryan Leonard's signature, with strikers Leon Clarke and Ricky Holmes making way for Madine and Hogan after agreeing loans at Wigan and Gillingham, respectively. Head-to-heads: The next two months could prove pivotal to the direction in which the remainder of the season goes for the Blades. 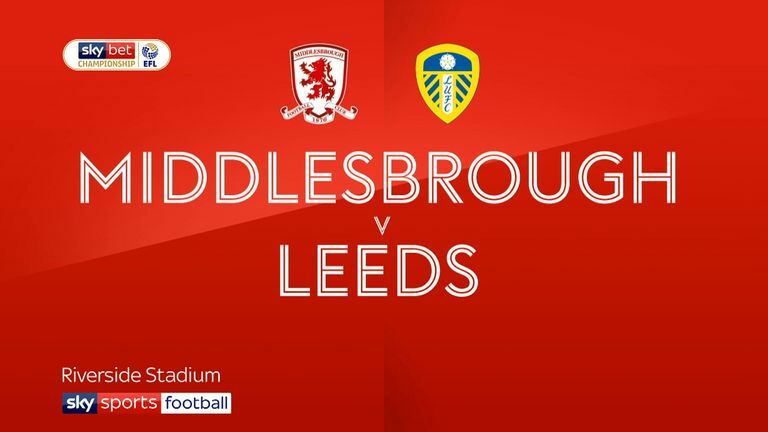 They host Middlesbrough on Wednesday evening, travel to West Brom on February 23, welcome Leeds on March 16 and Bristol City two weeks later on March 30. Prutton's assessment: "They are a glorious team to watch when they are on-song. I think the way Chris Wilder has approached both promotion, consolidation and a competitive top-level placing is phenomenal. You can see that, having brought in a couple of strikers in this window, as well as getting even more out of Billy Sharp. "The way that they play, the shape that they play, with one centre-half crossing to the other centre-half, is astonishing! He might call them outsiders, he might dismiss people's claims that they are living beyond their means and I appreciate that, but they are definitely up there with the favourites to push the top two." Form: While fellow relegated sides Swansea and Stoke are yet to fully acclimatise to the second tier, in stark contrast, West Brom have prospered. Darren Moore has built a squad with EFL experience in abundance, one that possesses excellent game management skills, as their 1-0 win over Stoke last week showed. West Brom have performed the best of the sides relegated from the Premier League in 2017/18. It's not a squad without its flaws, though. Their 1-1 draw with Brentford in early December laid bare their occasional failure to convert gilt-edged chances, while they have kept just five clean sheets in 30 games, showing just how reliant they have been on the potent attacking duo of Dwight Gayle and Jay Rodriguez. January business: Bakary Sako was the only player to leave permanently last month, with Darren Moore suffering a blow after Harvey Barnes was prematurely recalled from his season-long loan by Leicester. But while Moore opted not to add any permanent signings, he flexed his muscles in the loan market, bringing in defender Mason Holgate from Everton, midfielder Stefan Johansen from Fulham as well as wingers Jacob Murphy and Jefferson Montero from Newcastle and Swansea, respectively. Head-to-heads: The Baggies welcome Sheffield United to the Hawthorns on February 23 and face Leeds at Elland Road six days later. They also face Bristol City on Tuesday April 9 and take on Derby at Pride Park on the final day of the season. 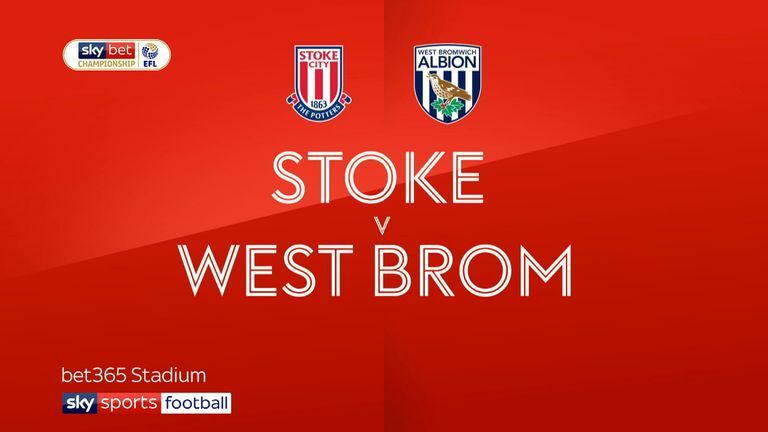 Highlights of the Sky Bet Championship match between Stoke and West Brom. 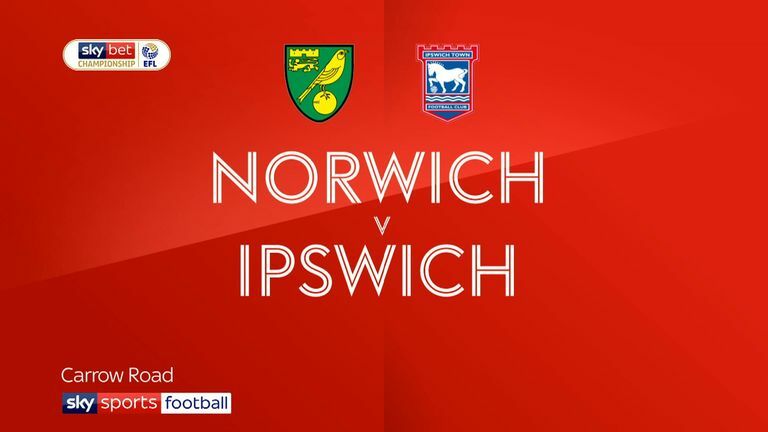 Prutton's assessment: "The first thing that jumps out is just the firepower they've got and, along with Norwich, I think it's no surprise you get two high-scoring teams playing in the latter parts of the division. Darren Moore has been shrewd by bringing loan signings in, though it was a big blow losing Harvey Barnes. That win against Stoke last Saturday very much keeps them very much in the fight for the automatic places. If you compare them to how the other two recently-relegated sides have done - I think Stoke spent in excess of £60m on a whole host of players - they are doing unbelievably well." Form: It's fair to say that the style of play Tony Pulis has implemented during his time as Middlesbrough boss is largely effective, if nothing else. His highly-regimented, defensive brand of football has yielded 13 clean sheets for Boro in their 30 league fixtures as they look to bounce back to the Premier League. Currently on a six-match unbeaten streak, Pulis' side beat West Brom 3-2 on February 2 - only the second time they scored more than two goals this season - and they were minutes away from beating Leeds last Saturday, only to be denied by Kalvin Phillips' equaliser 11 minutes into stoppage time. They leave plenty to be desired, yet look destined for a second successive top six finish. Tony Pulis' defensive style of play has yielded 13 clean sheets for Middlesbrough. January business: The highlight of a hectic month on Teesside was undoubtedly the signing of former Chelsea midfielder Jon Obi Mikel on a free transfer from Chinese Super League outfit Tianjin TEDA; the 31-year-old joined on a short-term deal. Rajiv Van La Parra's loan from Huddersfield was ratified on New Year's Day and George Saville's loan from Millwall turned into an £8m deal on the same day. Midfield stalwart Grant Leadbitter departed the club, after making over 200 league appearances since 2012, to sign for boyhood club Sunderland for a second spell. Head-to-heads: Boro are another side with a favourable fixture list for the remainder of the season; after they face Sheffield United on Wednesday night, Ashton Gate plays host to a double-header, with the visit of Norwich on Saturday March 30 and Bristol City on Tuesday April 2. Prutton's assessment: "When you hear Middlesbrough, you think Tony Pulis, you think defensive, you think they are going to be well set up and they are all of those things. How he's managed to consistently keep them up where they are, despite barren spells in front of goal or uncharacteristic amounts of goals, I think it's great. "It's a division Tony knows well, but knew well more than 10 years ago, so I think what we've seen from him so far is exactly what you'd expect: pragmatic, but they are a side who perhaps aren't as forthright as the likes of West Brom. They've got a very steady hand on the tiller." Form: Not for the first time during his tenure at Ashton Gate, Lee Johnson was under increasing pressure when the Robins lost four league games on the spin between October and November. Their blistering form since seems to have crept under the radar until recently, when they crept into the top six for the first time since September. Lee Johnson's Bristol City currently in the midst of a six-game winning streak. In all competitions, they are unbeaten in 14 games stretching back to November 28, face an FA Cup fifth-round clash with Wolves on Sunday and are currently on a six-game winning run. Their defensive solidity seems to have taken precedence of late, too, with five clean sheets across that period, albeit largely against teams lower than themsleves in the standings. January business: Midfielder Kasey Palmer, 22, became the third Chelsea loanee in Lee Johnson's squad - along with Tomas Kalas and Jay Dasilva - when he joined until the end of the season on January 9. Shawn McCoulsky was the only player to leave Ashton Gate, having joined Forest Green Rovers after five loans away from the club. Head-to-heads: It remains to be seen whether the Robins' FA Cup run will hinder their top six hopes, as their run to the Carabao Cup semi-finals did last term, but their run-in may prove a significant stumbling block, anyway. They must still face the following: Norwich (Feb 23), Leeds (March 9), Sheffield United (March 30), Middlesbrough (April 2), West Brom (April 9) and Derby (April 27). 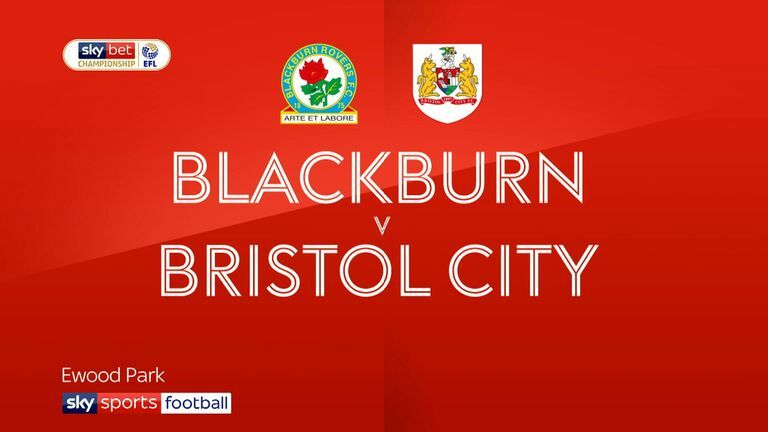 Highlights of the Sky Bet Championship clash between Blackburn and Bristol City. Prutton's assessment: "I think it's just over three years in charge for Lee Johnson, which is testament to the patience of the owners, testament to what they feel towards an ex-player who is a young manager, but has done tremendously well off the back of losing key players. "You can look at Aden Flint, you can look at the goals of Bobby Reid and say, 'How on Earth do you replace that?' But they do and they share the responsibility around. Their top scorer is Famara Diedhiou with eight goals, which is ridiculous considering they are in the top six at the moment. With the momentum they've got, they should be looking to cement a place in the top six and I think people will be very wary of them." Form: It's not been a bad start to life as a football manager for Frank Lampard. Sure, this campaign has had it's ups and downs, but Derby still remain in with a shout of finally achieving the promotion they seem to miss out on every season, in one manner or another. The Rams have never really built up enough steam to undertake a run that may have seen them climb further up the standings, but they recently beat Norwich 4-3 in a classic encounter at Carrow Road and have kept successive clean sheets against Preston and Hull. Next up is a trip to lowly Ipswich, while the club start March with three home games from four. Liverpool loanee Harry Wilson has been the shining light in Frank Lampard's side this season. January business: Having been one of the country's leading footballers, Lampard clearly possesses an enviable contacts book from where he can call in a favour or two from time to time. As such, he managed to secure the signing of former England and Chelsea left-back, who has signalled his intention to retire after his short-term deal comes to its conclusion. Leicester midfielder Andy King has been loaned to the club for the remainder of the season, too. Head-to-heads: Between now and the middle of April, the Rams have the luxury of not having to play any of the current top seven, though their fate could well be decided with games against Bristol City and West Brom in their final two fixtures of the season. 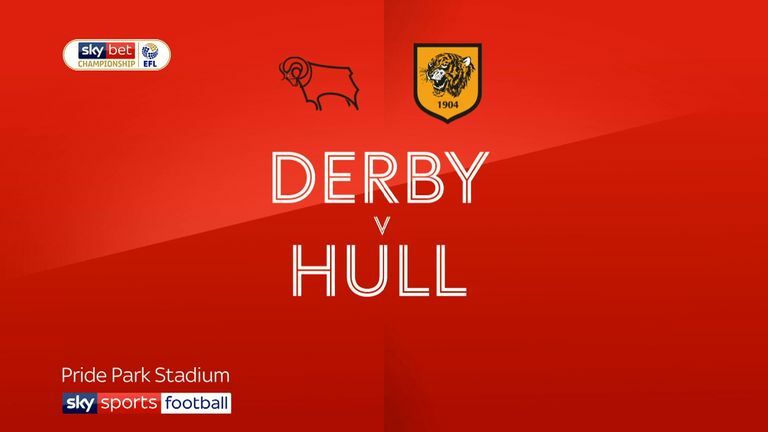 Highlights of the Sky Bet Championship clash between Derby County and Hull City. Prutton's assessment: "If you are the lay person looking at Derby, there's the perception of not being able to get promoted from this division that we've got caught up in. After the weekend's game, they are seven points from where they were at this time last season when they were second in the league. We all know they got into the play-offs and lost in the semi-final, so it almost doesn't matter. If you aren't going to go up anyway, you almost disregard where a team finishes. "You've got to put it into context. It's Frank Lampard's first season as a manager and I think the way he's managed to work through the different bits and bobs that he's had to has been superb. He has exercised the loan market wonderfully, he's got more from established players there, he's dealt with 'Spygate' with dignity and the gravity he wanted to. He's got the makings of a very good manager. From what we've seen from Derby at their absolute best, they'd be more than a worthy addition to the play-off programme come the end of the season. But maybe it stands them in better stead to be where they are at the moment without the pressure and taking inspiration from a side like Bristol City." "It's a toss-up for me between Birmingham and Hull City. Hull were in a very similar position a couple of games ago to what they were in 07/08 when they eventually won in the play-off final against Bristol City; to think City were there anyway is just madness. Can Jarrod Bowen fire Hull into the promotion picture? "I'm going to go for them. You can't help but have a fondness for a team that is battling against the odds utilising players like Jarrod Bowen and Kamil Grosicki, working against the apathy that the fans feel for the running of the club; trying to bring the majority back by playing good football. Nigel Adkins is wonderfully open and honest about his job and very positive about what his team can do. Let's keep an eye on them, because I think they've got a wonderful outside chance."